You cannot work more than 40 hours per fortnight, when your course is in session (other than work, which has been registered as a part of the course). A fortnight means any period of 14 days commencing on a Monday and ending at the end of the second following Sunday. You can work for more than 40 hours per fortnight during recognized vacation periods offered by your education provider. No work limits apply, if you are studying a Masters by Research or Doctorate Course in Australia. 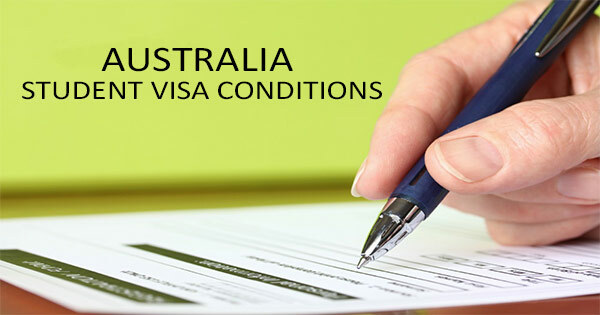 You must continue to satisfy the requirements for grant of your student visa. This means, for example, that you continue to have sufficient financial capacity to support your study and stay in Australia. – have accommodation, support and general welfare arrangements in place that have been approved by your education provider. If your welfare arrangements are approved by your education provider, you must not travel to Australia until your welfare arrangements start.